I love homeware and lifestyle gifts, I think perhaps even more than beauty ones! This post was really fun to put together and I hope it gives you some inspiration for those of your family and friends that aren’t necessarily into makeup. I found the Anthropologie Gilded Monogram Glass to be such a versatile gift – not only does it look stunning, but it can be used for so many things! I use mine to hold my makeup brushes – it’s very weighty so it doesn’t topple over like a lot of other tumblers do. Another beautiful metallic find is the Paperchase Copper Photo Frame. I love collecting photo frames and the simplicity of this one is just beautiful. It’s very affordable, and it’s easily personalised just by adding a photo of you and the person you’re gifting it to – just making it that extra bit more special! 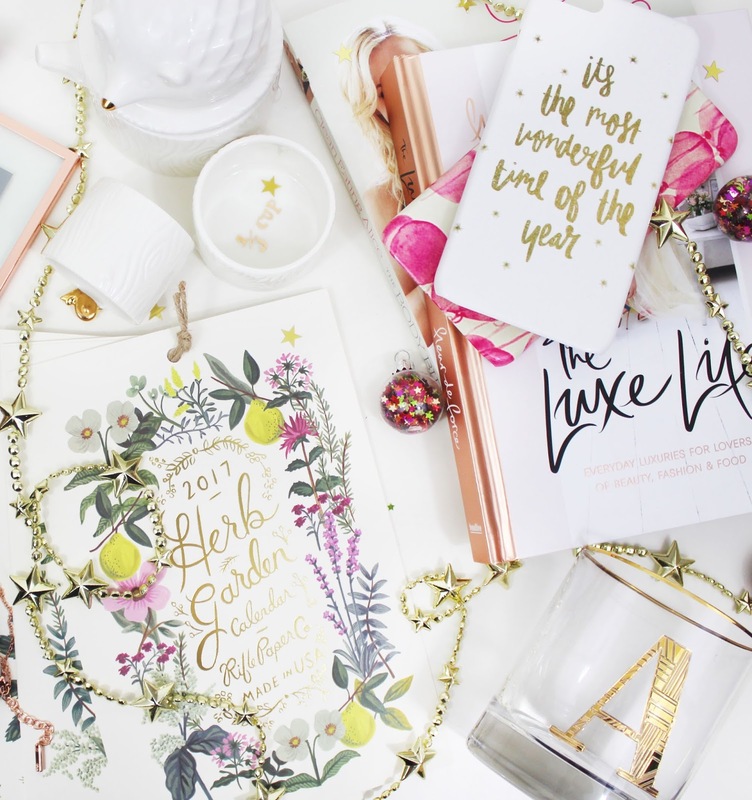 The Rifle Paper Co Wall Calendar is really popular amongst bloggers so I’m featuring it in my gift guide because if you know a blogger, I’m sure they’d appreciate receiving one! But of course, it serves as the perfect universal gift, especially if you don’t know the person that well – you can’t go wrong with a calendar or a diary. Like the photo frame, if you’re really into personalised gifting, a phone case might be a great option for tech-lovers. I wrote a whole post a couple of months ago on some gorgeous cases I had custom made from CaseApp*, and they come so beautifully packaged that they’d make a lovely gift! If you know someone who loves travelling, something like the Kate Spade Passport Holder is a really good gift option. I bought a standard black one with gold embossing because it’s such a classic but there are lots of other colours and finishes too. It has lots of card pockets inside too so it works as a travel wallet as well as a passport holder which makes it that extra bit more useful than a lot of the ones out there. Lifestyle books are always really popular because they’re just so easy to read and work beautifully as coffee table entertainment too. 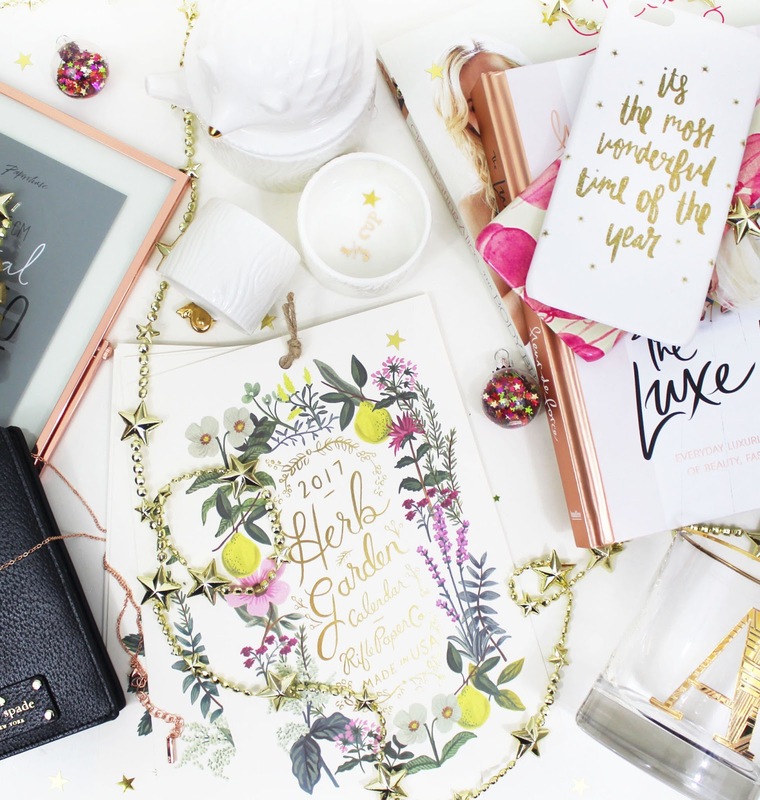 The Luxe Life by Fleur De Force is one of my favourite ones from this year, it covers everything from beauty to food to home so again, it’s an incredibly universal gift for a girl who loves luxury. I wrote a full in-depth review on the book here in case you want to read it. Speaking of books, recipe books are really great options for food lovers – I’ve been obsessed with the recipes in Clean Eating Alice: The Body Bible for the past few weeks and I’m excited for her new book to come out later this month – I know that will be on my wishlist! Of course, homeware gifts are really lovely too. One of my home ware finds that I’m particularly thrilled with are the Anthropologie Hedgehog Measuring Cups. Aren’t they adorable?! These work really well for someone who loves their kitchenware, they look elegant and cute at the same time and come beautifully wrapped when you buy them from store. What are your favourite home and lifestyle gifts?